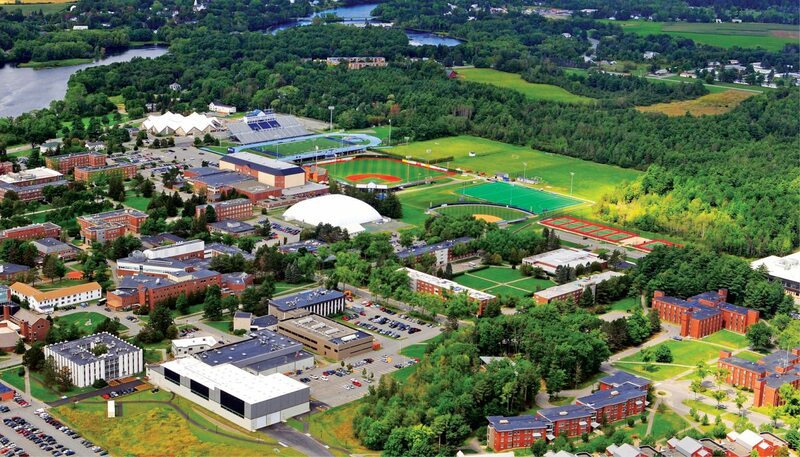 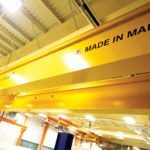 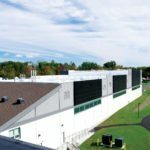 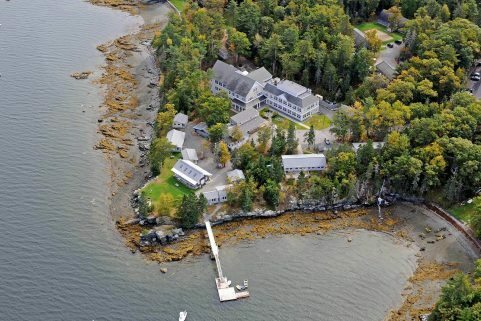 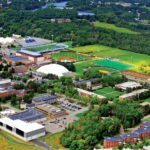 UMaine’s Advanced Structures and Composites Center is one of the U.S.’s most innovative projects. 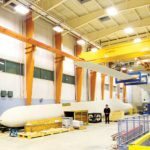 Over the past decade, WBRC has been called upon to shepherd its multi-phase expansion, most recently its Offshore Wind Laboratory. 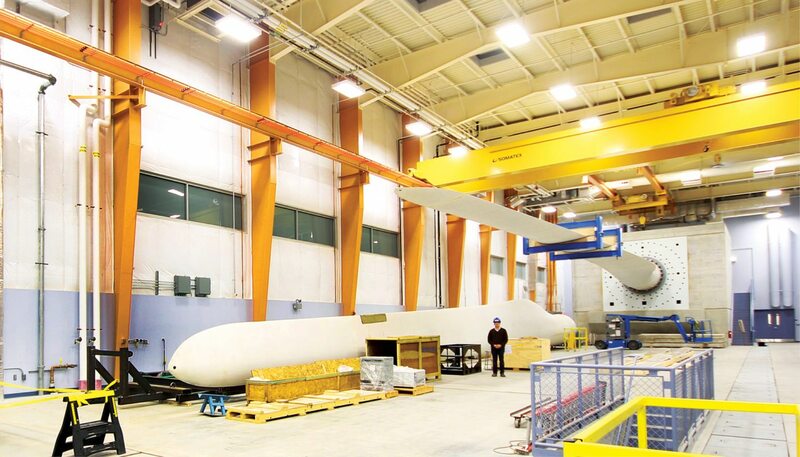 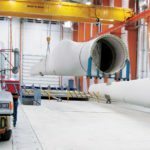 This 37,000 SF facility includes “super-sized” lab space designed for testing wind turbine blades and their components. 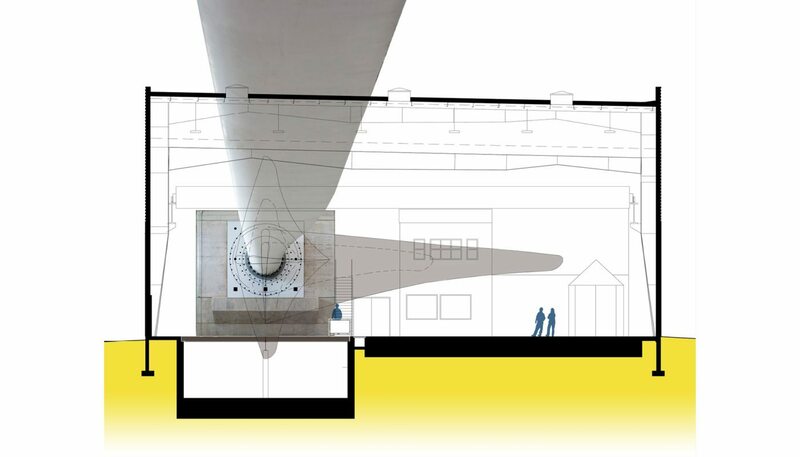 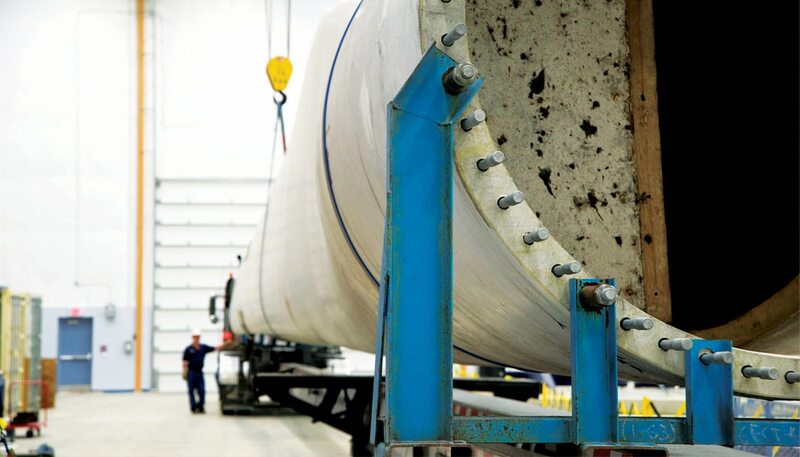 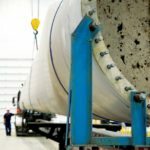 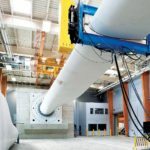 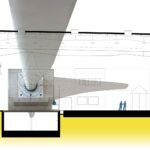 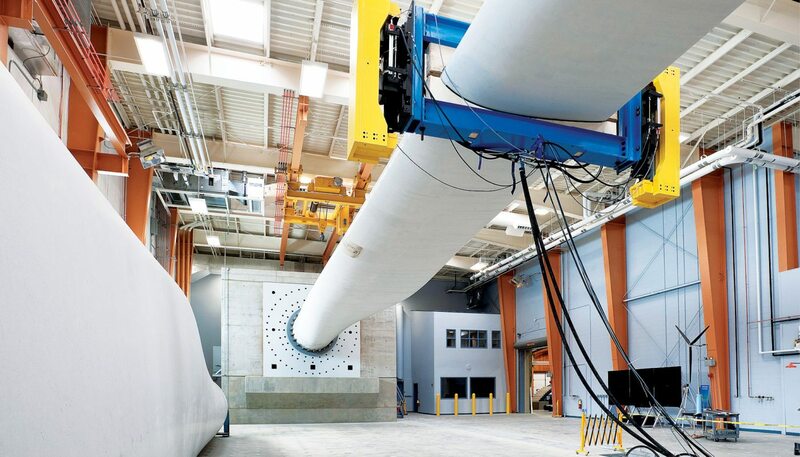 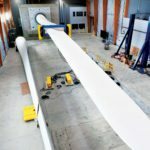 The design for this R&D project epitomizes “form follows function.” The challenge was to design a facility around the structural testing of immense wind turbine blades, up to 230 feet long, which would be tested within the space. 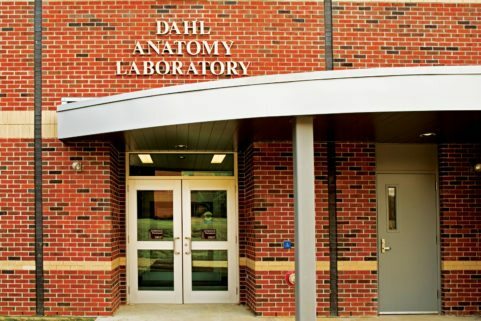 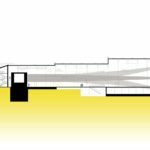 Design options were limited by a tight campus footprint and the addition could not extend beyond the height of the original steel structure. 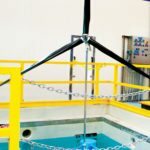 The building also needed to be an example of sustainable design, given the facility’s mission of advancing alternative energy. 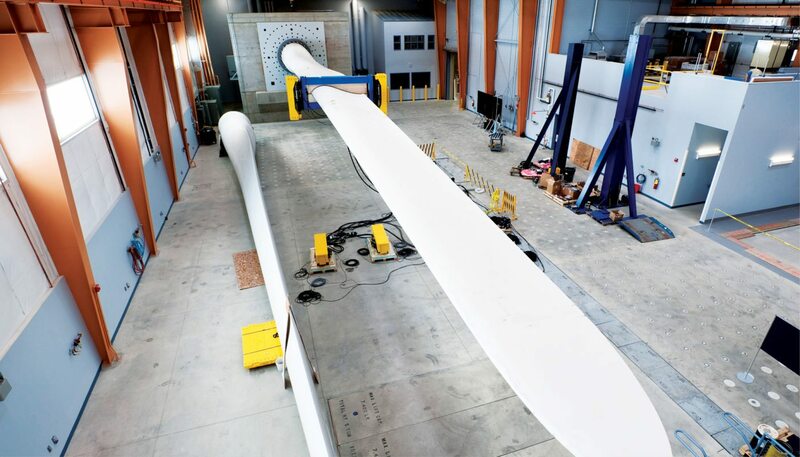 The architecture of the facility had to accommodate both static and fatigue structural testing, measuring a blade’s capacity to withstand wind and wave pressure both vertically and horizontally. 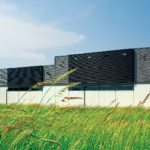 Sustainable design features include a 3,400 SF wall of transpired solar collectors along the long, east-west axis of the building, delivering preheated air to the heating system. 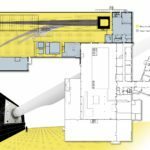 Sixty high-bay skylights provide natural diffused daylight to reduce glare and shadow lines in lab areas, and seven light tunnels bring light to interior core spaces. 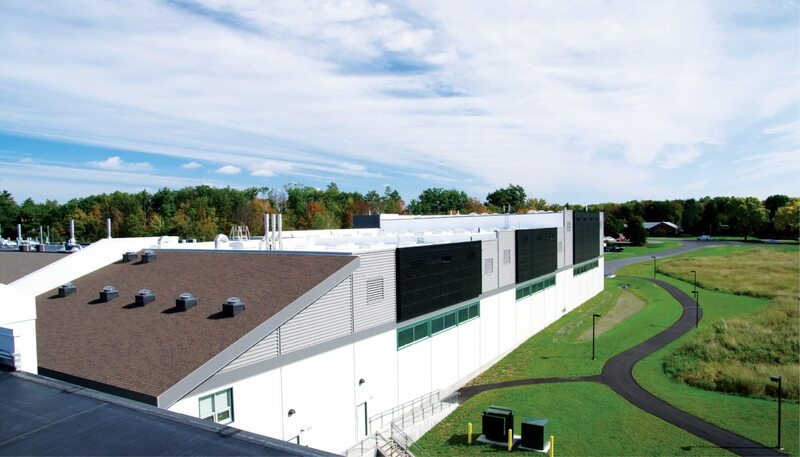 The facility was awarded Gold LEED Certification. 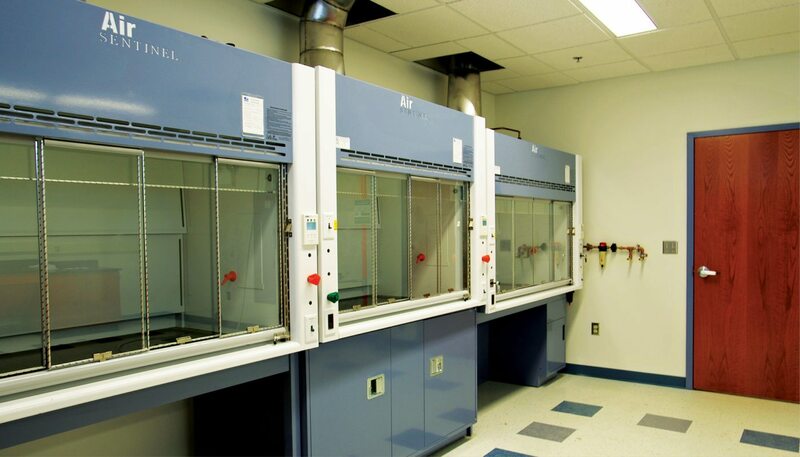 Energy savings of 31% achieved through the incorporation of an improved thermal envelope, high efficiency glazing, reduced interior and exterior lighting power densities, demand control ventilation, variable air volume supply fans, process load heat recovery via a hydraulic oil to glycol heat exchanger, solar air heating, and high efficiency condensing units. 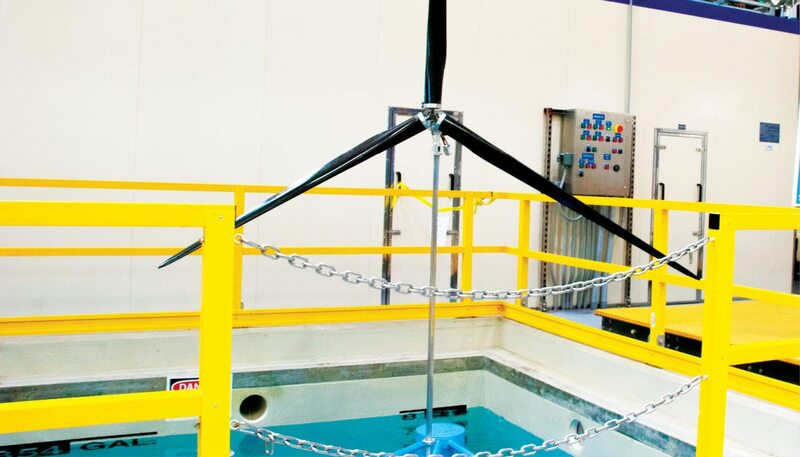 Potable water use reduced by 47%. 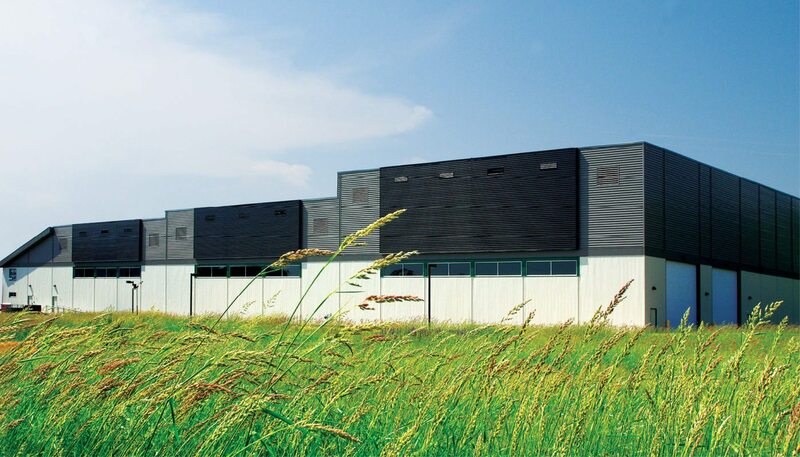 The project diverted 1,120 tons (95%) of on-site generated construction waste from landfill. 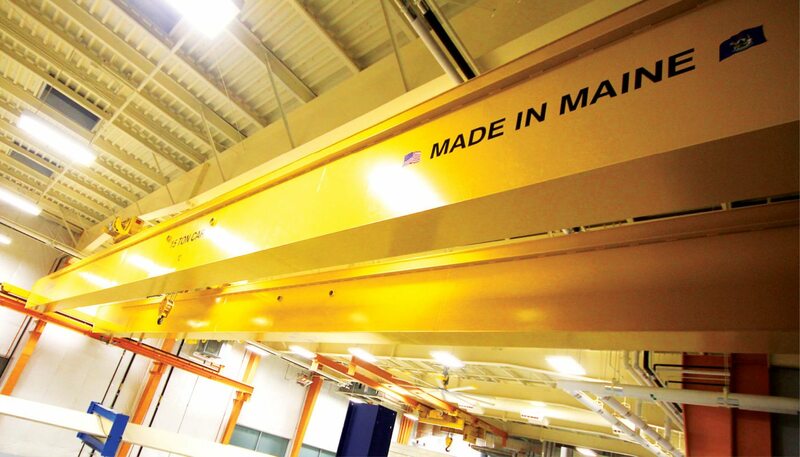 40% of the total building materials content, by value, have been manufactured using recycled materials. 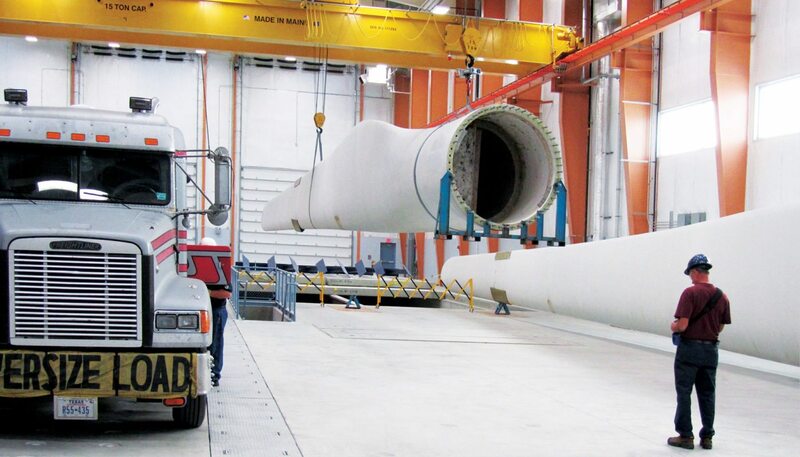 26% of construction materials manufactured within 500 miles. 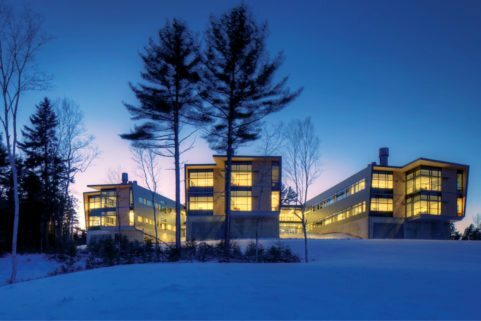 80% of the total wood based building materials are harvested from FSC certified forests. 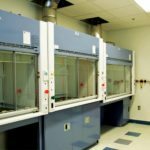 Refrigerants and HVAC equipment utilize compounds that minimize or eliminate their ozone depletion and global warming contribution. 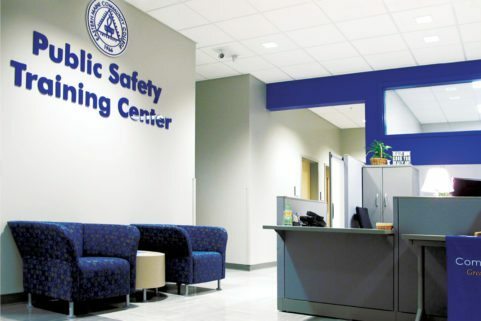 All indoor adhesive, sealant, paint, and coating products comply with the VOC limits of the referenced LEED standards. 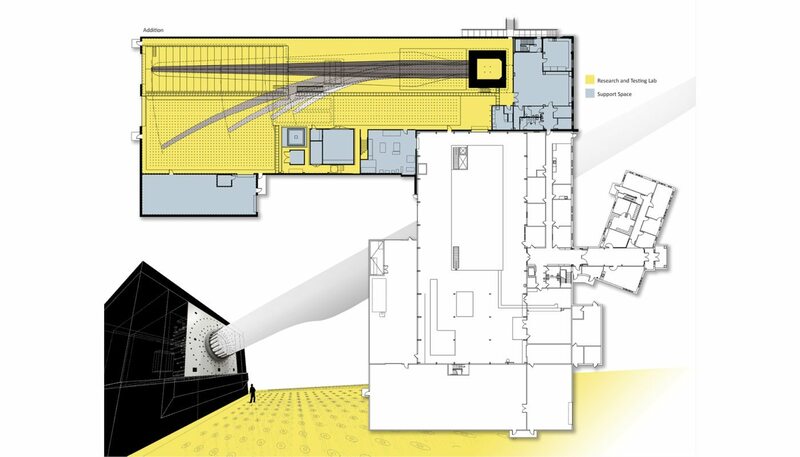 Lighting controls are installed for 100% of individual workstations and 100% of shared multi-occupant space. 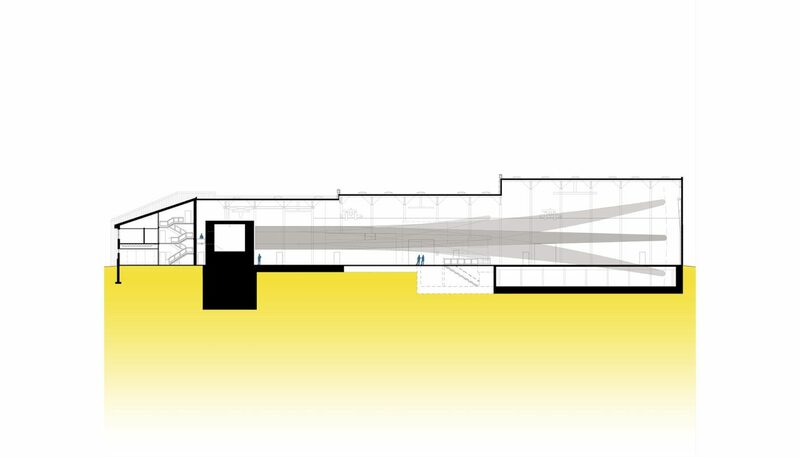 The project has achieved a minimum 2% glazing factor in 80% of all regularly occupied spaces.